The internal fights within the chaotic PF cabinet over the proposed mining in Lower Zambezi National park has continued with Tourism and Arts Minister Silvia Masebo maintaining the she will continue defending tourism in Zambia as it was key to the development of the tourism industry in the country. 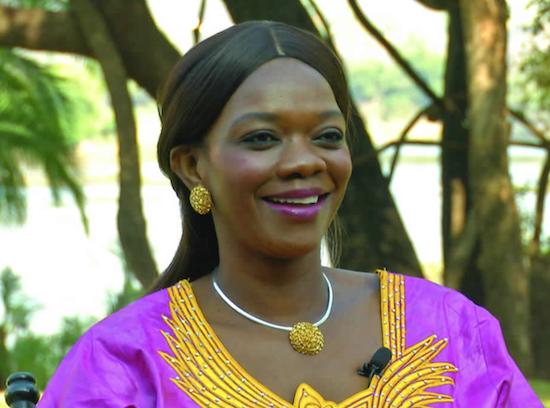 Posting on her Facebook page this morning, Masebo, in an apparent reference to the growing rift over the proposed mining by Australian Mining giant Zambezi Resources, said but without elaborating, “I will do what it takes to defend our wildlife in this country because it’s key to our tourism development, and I will play their game because they have asked for it. I just hope it won’t burn them in return”. In her submissions to the Parliamentary Committee on Tourism and Arts last week, Ms. Masebo said her Ministry feels that the mine project should not go ahead because it will put the existence of the Lower Zambezi National Park at risk. She said her Ministry is against the decision by the Ministry of Lands, Environment and Natural Resources to issue a mining licence to an Australian investor, Mwembeshi Resources under the parent name of Zambezi Resources in the Lower Zambezi. She said the mine which will occupy about 25 percent will also reduce the tourism earnings which benefit government and the local people in the area. “Government risks losing safari fees amounting to over K 84 million and photographic revenue amounting to over K 9 million if the mine is allowed to exist,” Mrs Masebo said. She said the Ministry of Tourism and Arts follows a policy of sustainable tourism and granting of mining rights to Zambezi Resources goes against the principle of sustainable tourism. “The Ministry’s considered view is that the Ministry of Lands, Natural Resources and Environmental Protection reconsiders its decision to allow mining activities in the Lower Zambezi National Park,” she said. Mrs Masebo further says the important steps were ignored in that the basis for the issuance of the 25 years mining licence is not clearly known and the licence was issued before the environmental impact assessment process was completed. She said plans to declare the Lower Zambezi as a world heritage site may not materialize and this might lead to an unprecedented campaign against Zambia’s tourism which is a key sector in diversifying the economy. But later Information and Broadcasting Minister maintained that the position taken by the corrupt Lands Minister Harry kalaba to start a large-scale open pit mining in the Lower Zambezi National Park was the correct government position. Yesterday, the Zambianwatchdog reported that it took Justice Minister Wynter Kabimba and Vice-president Guy Scott to restrain Ms. Masebo from resigning her position based on sharp differences over various issues with the PF government. There has so far been a global campaign against Zambia in various parts of the world by environmentalists against the granting of a mining licence in one of Zambia’s most precious national park host to some of the rare species of animals in the world, that may face extinction. Despite the country having been a mining giant for decades now, it has largely remained poor because the proceeds only benefit a few corrupt mine owners abroad as the recent case of KCM scandal has revealed who have been concealing profits.